Soooo, I’ve been a bit quiet on the blogging front recently – sorry 🙂 Contrary to what people think about food bloggers, it isn’t all free meals getting offered left, right and centre so when funds are low sometimes I just can’t afford to go out for a meal to get a blog post! Added to that, some days you fancy returning to a really good spot that has already been reviewed… and I’ve visited Taco Taco again twice in the past 2 weeks … those tacos and margaritas are just too damn good! We headed out nice and early to make the most of what ended up being a really warm day. 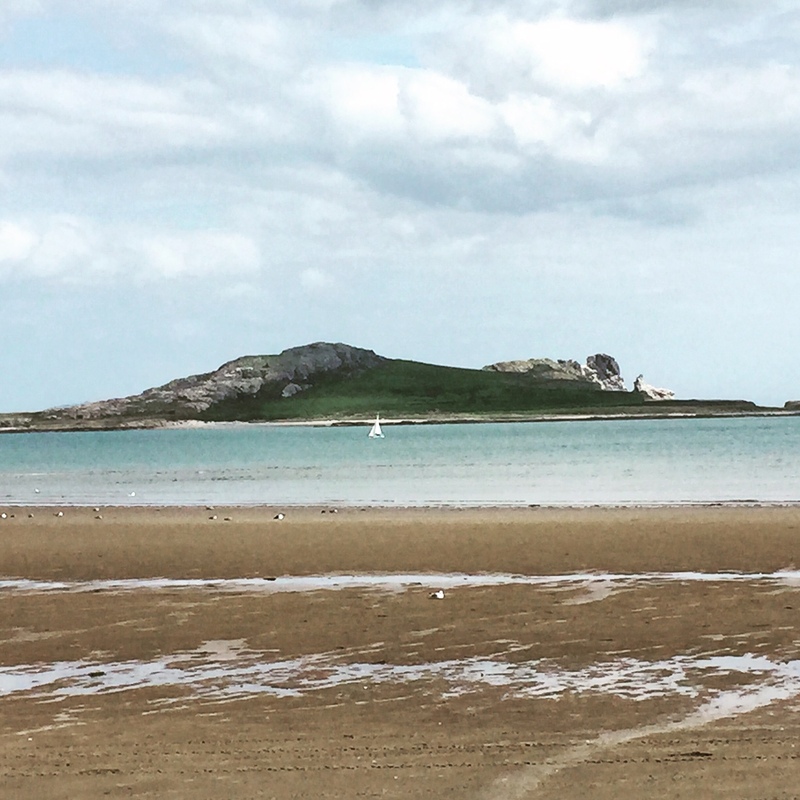 I have only ever been out to Howth at the weekend when it’s like a circus, so didn’t expect it to be heaving on a Friday at 11am…. I was wrong. It literally started getting busy pretty much from when we arrived. The clouds cleared off after a bit and it turned into a fab day for a walk on the beach, along the pier and a mosey around the small village. 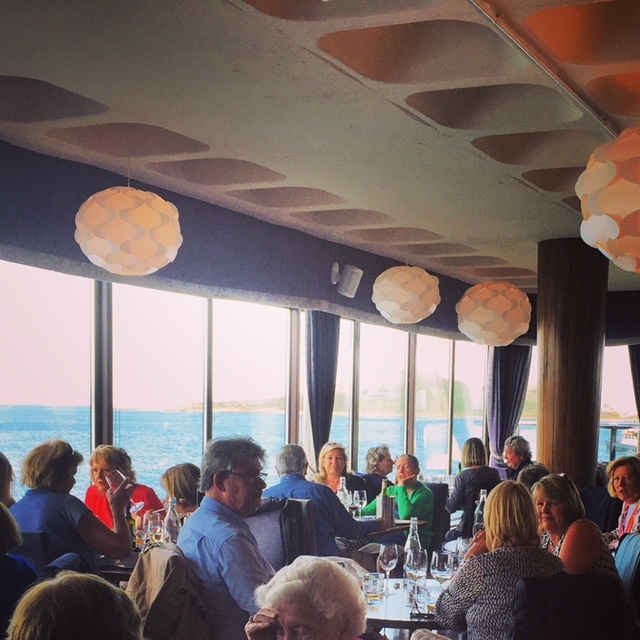 There is SO MUCH choice for food in Howth… everywhere you look there’s another gorgeous little place to tempt you in. 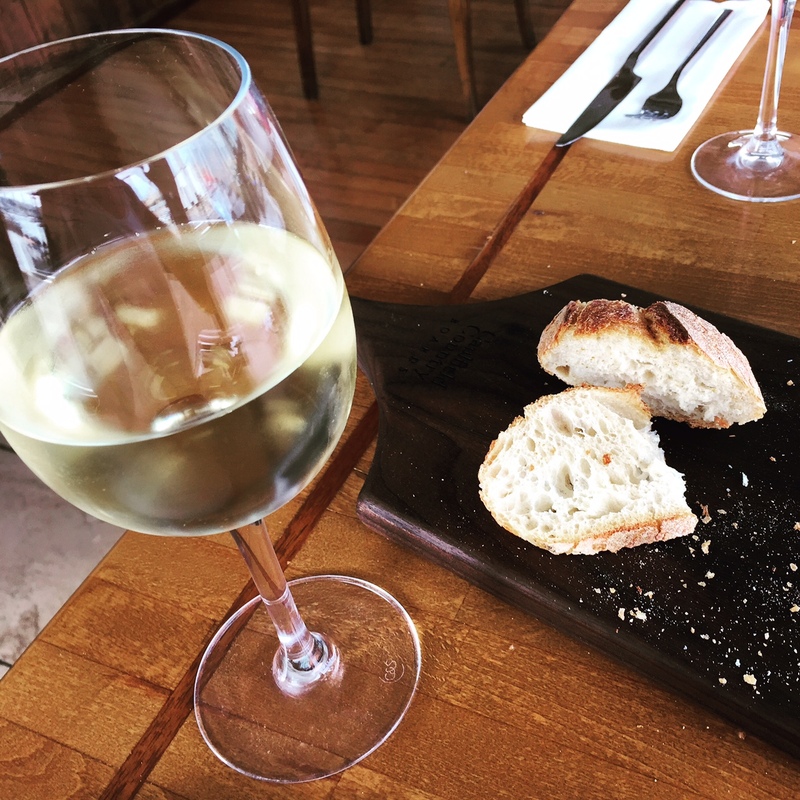 I may be like a parrot repeating myself here but if you are a pizza fan you have GOT to try Il Panorama Cafe… the best pizza I’ve had in Dublin. But for years I had seen Aqua at the end of the West Pier and wanted to try it… so this was our chosen spot. Given that it was lunchtime, we probably should have thought to make a reservation but luckily enough got a seat anyway. With views right out over the water, you can see why it’s a popular choice. The lunchtime deal offers two courses for €23.95 and had a pretty decent choice (Menu here: http://aqua.ie/menus/lunch-menu/ ) We went for a starter, mains each and shared a dessert. 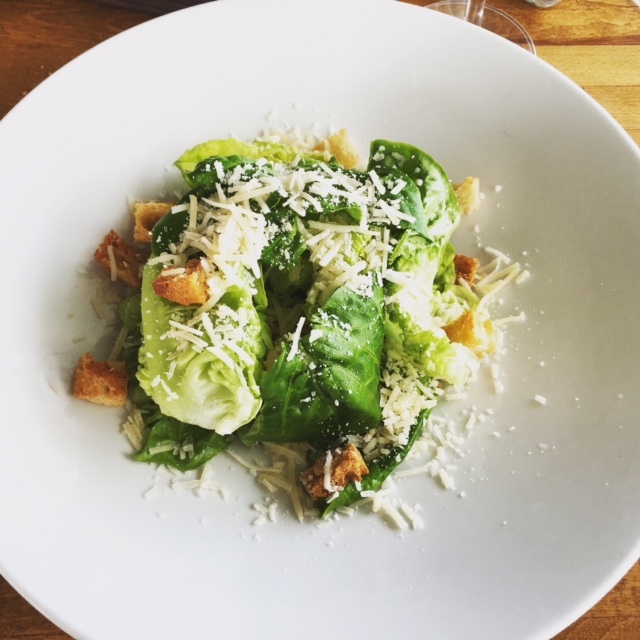 The Ceaser salad was fresh and light, and with my chilled white wine it went down a treat! 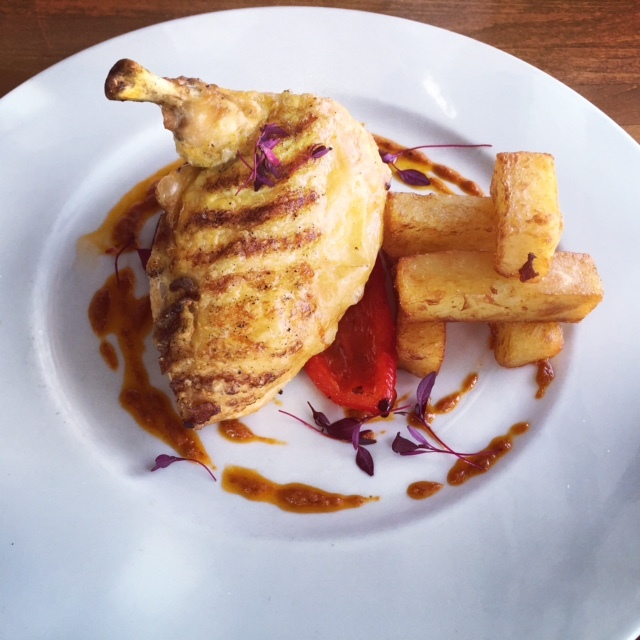 Mains were both excellent… the chicken requested with chips instead of wedges was soft and juicy with some gorgeous chunky chips. 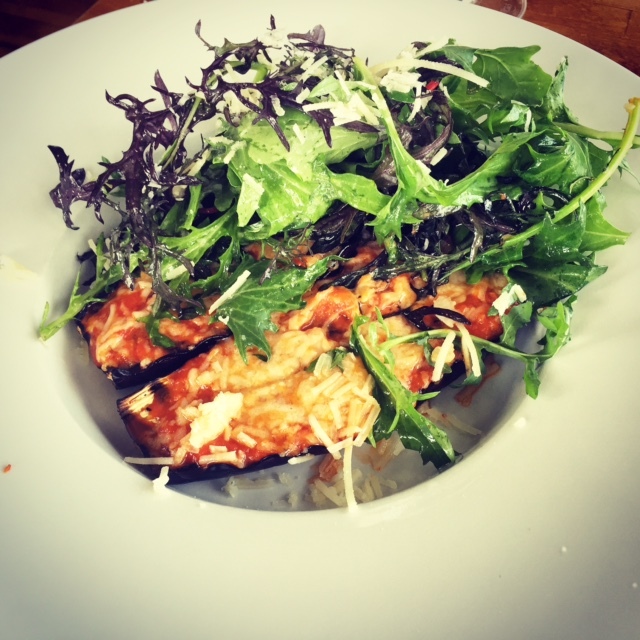 And my Aubergine Parmigiana was absolutely delicious. Dessert choices were Chocolate Raspberry Tart, Crème Brûlée or Irish Strawberries with cream…. the Crème Brûlée won out and we weren’t disappointed. 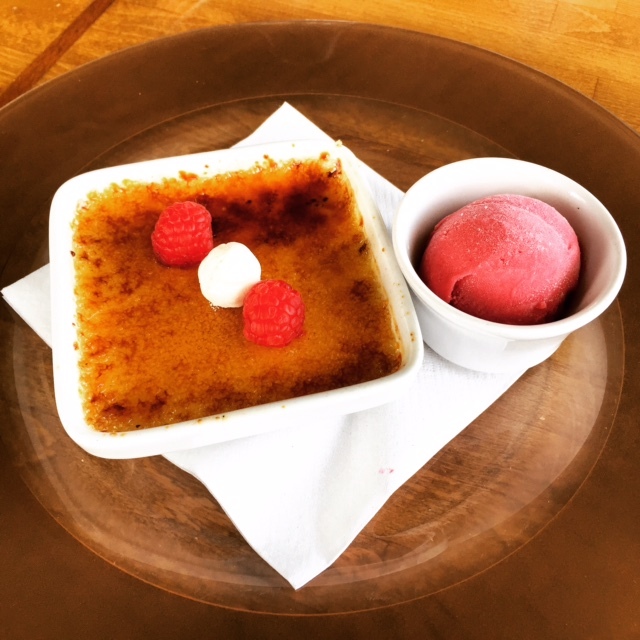 Nice and crisp on the top with perfectly smooth set custard beneath and a zingy raspberry sorbet served alongside. It was the perfect finish to the meal. After a really good lunch we left, unsurprisingly walking out through a full to the brim restaurant. 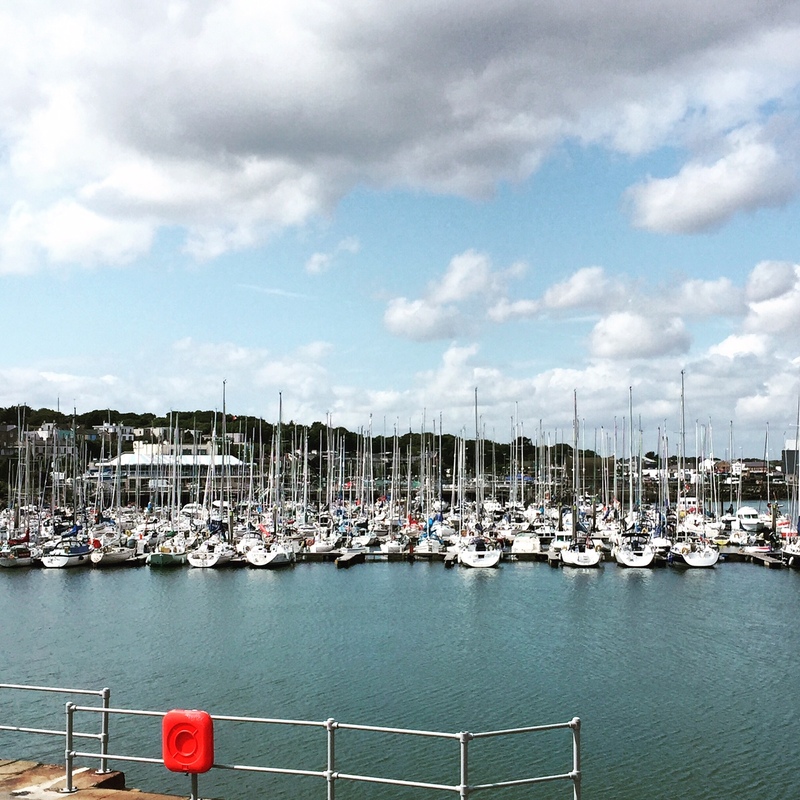 Aqua is the perfect spot in Howth if you fancy something just that bit more special to round off your visit – just gorgeous! You can also follow me on Twitter or Facebook to keep up to date! Ah really? I enjoyed it a lot and my food was great, but I guess if I were to go again I’d probably have to get the same thing again as it’s the only veggie option… but I do find that in most restaurants to be honest, it’s rare to get too much choice unless you are in an Indian or Thai or something, standard restaurants tend to only give one option, max two. And my Mam loved her chicken and she is pretty picky…but in saying that we are only 2 people eating so you dont get to experience the variety of a group!